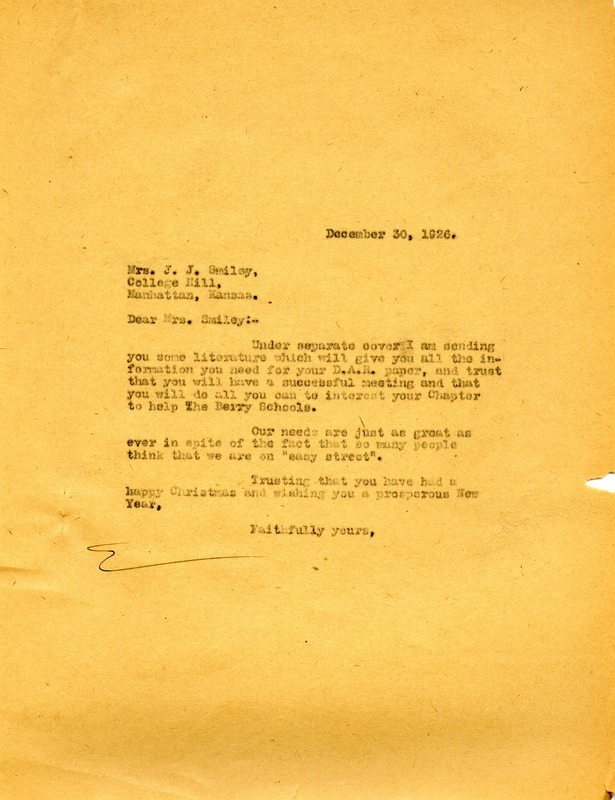 Martha Berry sends Mrs. Smiley literature to help her with a paper for the Daughters of the American Revolution. Martha Berry, “Letter to J. J. Smiley from Martha Berry.” Martha Berry Digital Archive. Eds. Schlitz, Stephanie A., Meg Ratliff, et al. Mount Berry: Berry College, 2011. accessed April 18, 2019, https://mbda.berry.edu/items/show/1352.